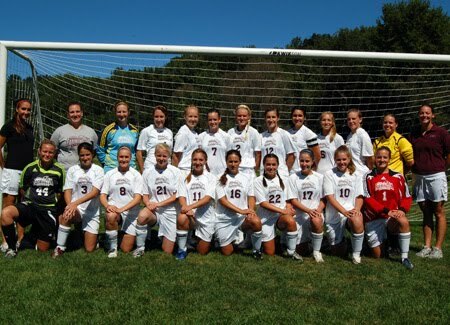 The UMF Girls Soccer Team. Sean McAdam of CSNNE gives you his 5 reasons to still watch the Red Sox in September. John Tomase of the Boston Herald explains that the early sweep in Baltimore may have been the ultimate downfall for the Red Sox. Just how we thought of this all along John Lackey has been as consistent as Courtney Love's mood swings, and Josh Beckett has been making his best Jason Johnson impression this season. Get all your latest Patriots training camp news and notes with Patriots insider Ian Rapoport. Jerod Mayo: Patriots defense played "dumb football"
Rodney Harrison: Patriots sick of Jets trash talking. Tom Brady and the rest of the starters expect to play vs. the Giants in final preseason game. In the final game of the 1992 season, the 2-14 Patriots fell to the 11-5 Dolphins 16-13 in overtime. Who was the starting quarterback for the Patriots in that game, and which Patriots running back rushed for over 120 yards in that game? Yesterday's answer was Greg McMurtry, and listener Pete was the first to get it. Bruins "actively" shopping Marc Savard. The Vancouver Sun talks about Bruins prospect Craig Cunningham. Get your UMaine Football tickets here. Matt Mulligan and Mike DeVito were honored with the "Iron Jet" award. Get all your latest Sea Dogs news, recaps, and much much more at the Hadlock Headlines.